Once a neighbourhood solely ridden with kebap shops, Ataşehir has long shed its former character and welcomed surprising additions to its eating and drinking scene. 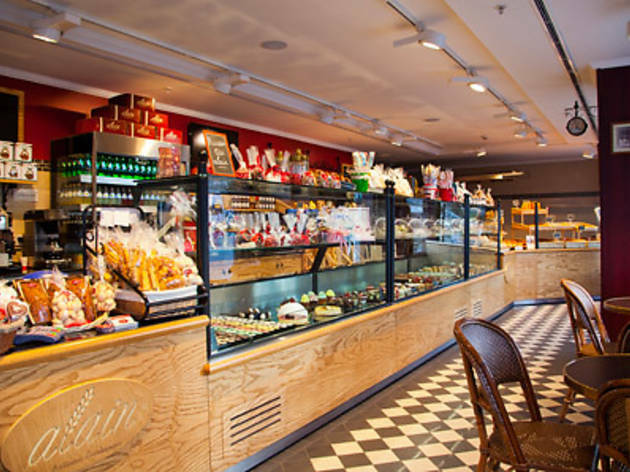 These days, it’s possible to come across a French bakery and café in Ataşehir that you might encounter on St Michel Boulevard in Paris – case in point: Alain Artisan Boulanger. 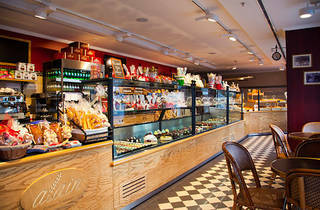 You first feel the warmth visually, thanks to the rows of cakes, confections, viennoiserie and breads. A door opens from the bakery to the café and you find yourself face-to-face with the replica of a French street: a pleasant garden with tiny cobblestones, tables encircled by original French chairs made out of Indian palm trees and garçons in special costumes... The figure behind all this is Hakan Ariç, who gave up his job as a high-level executive to run a bakery. With a full commitment to authenticity, the bakery produces its own yeasts, blending them with flavourful water, four or five kinds of butter and seven or eight different kinds of flour at once – then adding 20-plus varieties of chocolate to the mix. The distinct smells have us undecided at first before we reach for the éclairs... Although they’ve become a staple in most patisseries around town, at Alain Artisan Boulanger, they somehow seem fresher here. We then go delirious trying the macaron fraise, Paris-Brest, tortelette crème brûlée and Champs-Élysées. If you’re a fan of fruity cakes, macaron à la fraise is a true masterpiece, its lemon aroma guaranteed to leave a fresh taste in your mouth. Meanwhile, Paris-Brest is the perfect answer to the question ‘How can a creamy dessert be this light?’ Alain’s French chefs whip up original hot and cold sandwiches, paninis, salads, crepes, tartinis, quiches and omelettes – plus soups, mains and grilled options for those who want a more filling feast – for lunch and dinner.